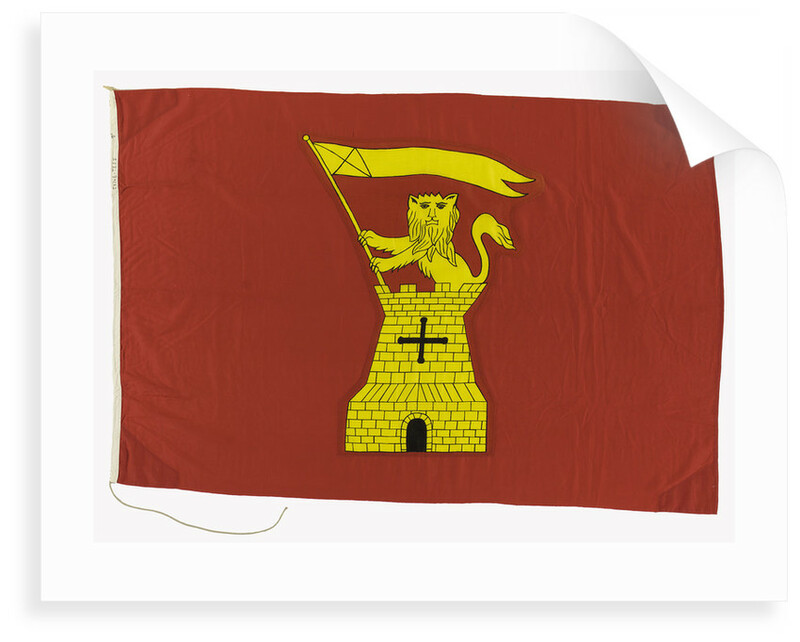 The house flag of Tyne-Tees Steam Ship Co. Ltd, Newcastle-upon-Tyne. 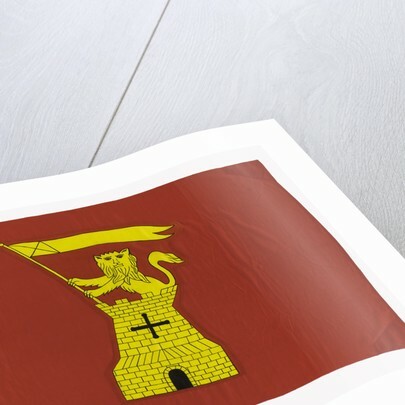 A red rectangular flag with a yellow crest of a rampant lion on a tower holding a banner. The flag is made of a wool and synthetic fibre bunting. 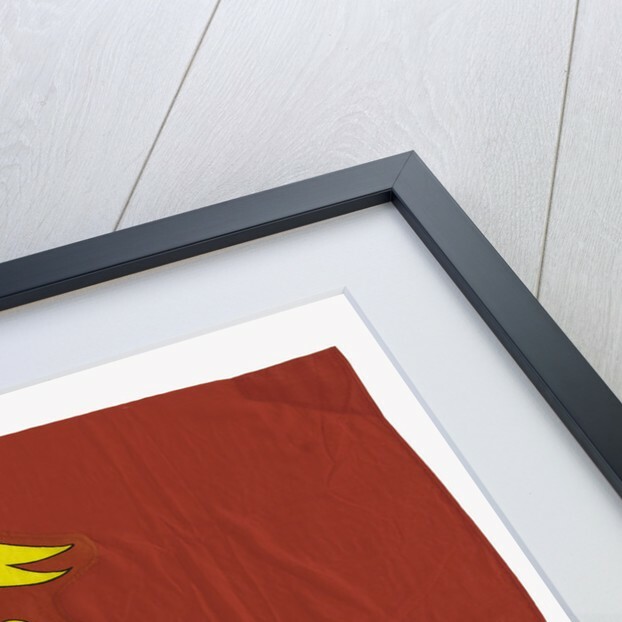 It has a cotton hoist and is machine sewn with a printed design. A rope and toggle is attached. 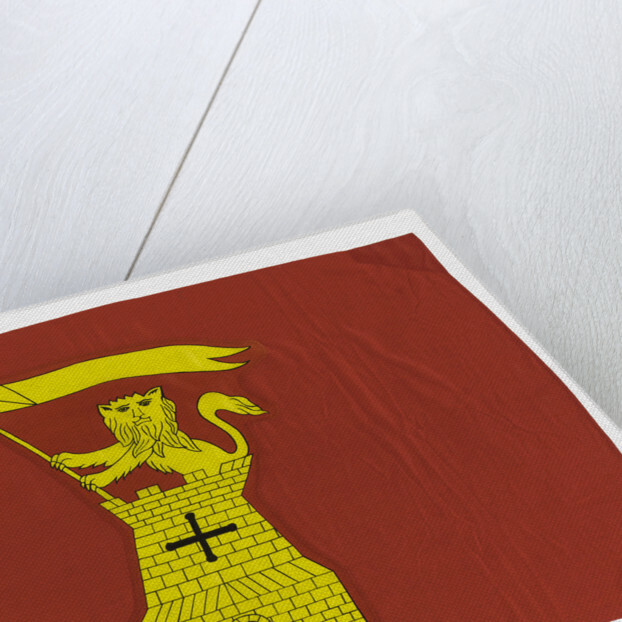 The design is based on the crest of Newcastle-upon-Tyne being 'A tower argent, therefrom issuent a demi-lion rampant guardant or, holding a flagstaff sable, therefrom flowing a split banner of St George'. The company was formed in 1904 by the merger of the Tyne Steam Shipping Co. Ltd, the Tees Union Steamship Co. Ltd, The Free Trade Warf Co. Ltd and the coasting interests of Furness Withy & Co. Ltd. It ran passenger services between Newcastle and London until these became unprofitable during the depression. The company coasters were purchased by Coast Lines in 1943. The last ship in the fleet ceased operation in 1976.